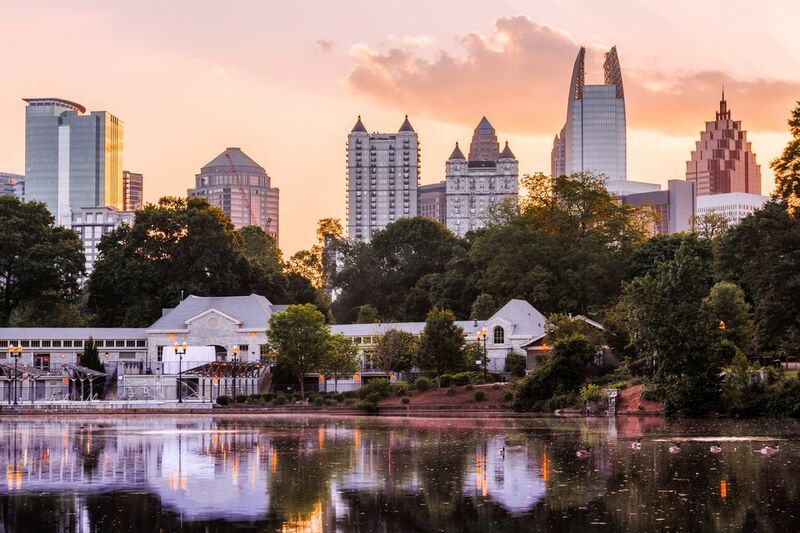 Atlanta's mix of big city sophistication and Southern charm has attracted many famous friends. With specialties that cover every craving, from Italian to fried chicken, and locations all around town, some of the city's best restaurants are owned by superstars. Stop by these spots for a taste of the fabulous life and even the occasional star sighting. Southern cooking runs in the family at Gladys Knight and Ron Winan's Chicken and Waffles. Now headed by Gladys' son, this down-home joint serves soulful comfort classics including, of course, the famous fried chicken and waffles. Get your chicken fix at two locations - Downtown or in Lithonia. Located in Atlantic Station—a mixed-use live, work and play community—Dolce is an intimate Italian eatery that’s owned by That 70's Show costars Ashton Kutcher and Wilmer Valderrama. Serving up rich risottos and homemade pastas, this is a place to see and be seen. Dine by candlelight in the plush dining room or on the romantic newly opened patio. FLIP is owned by a culinary celebrity, but a celebrity no less. Richard Blais was a finalist on Bravo's Top Chef. FLIP is home to creative burgers and unconventional shakes like the Krispy Kreme Donut milkshake or the Captain Crunch milkshake.